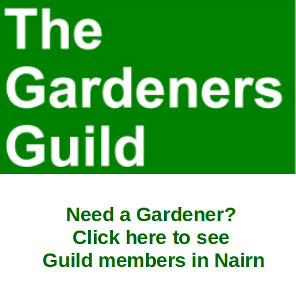 A Gurn from Nurn: Craft led revival for the Brae? Recently Caledonian Craft Connections flitted to the other side of the brae into the former carpet shop. It wasn't long before their former premises were taken over by another craft related business - see Gurn article here. 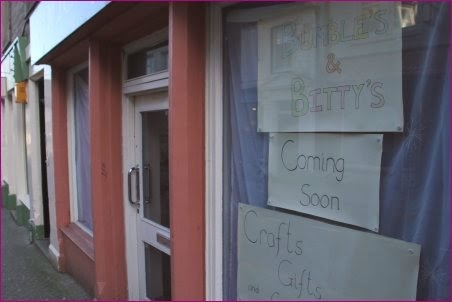 Now another premises on the brae is set to come to life again as a sign reads "Bumbles and Bitty's" coming soon. 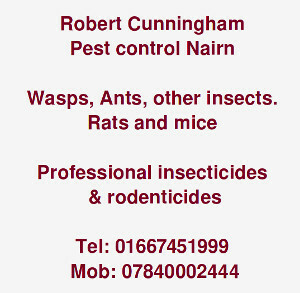 There is, of course, also a long established picture framing business on the brae. Perhaps this trend could continue with the Brae becoming a magnet for the craft retail scene? How many slices are there in a cake? 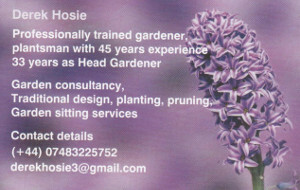 Ask all of our hairdressers, cafes & charity shops which seem to increase and survive, how profitably I don't know. We have had two butchers, since Walter closed on The Brae many years ago, and they seem to do very well with excellent meat and staff. Quality, need and faithful customers are a recipe for success. Is there a need for 3 or 4 craft shops? I wish them good luck but remember the High Street model shop that had to close after a year, and the Harbour Street one that closed 10 or so years ago. Maybe some things just work because of a critical mass that you have when a certain number of similar shops are found in one town. Take antiques for example. There is a town in Somerset with nothing but shoe shops on its High Street - plus a nearby coach park. It would be nice if we could have simply one shoe shop again but those days are gone now (perhaps) and in the past they must remain?